The motto of the Olympic Games is Citius, Altius, Fortius which is Latin for ‘Faster, Higher, Stronger’. It is a clarion call to all competitors, including the youngest, to engage in training strategies that prepare athletes to be the best in the world. Existing research indicates that various forms of resistance training can elicit performance improvements in young athletes. Stronger young athletes will be better prepared to learn complex movements, master sport tactics, and sustain the demands of training and competition. 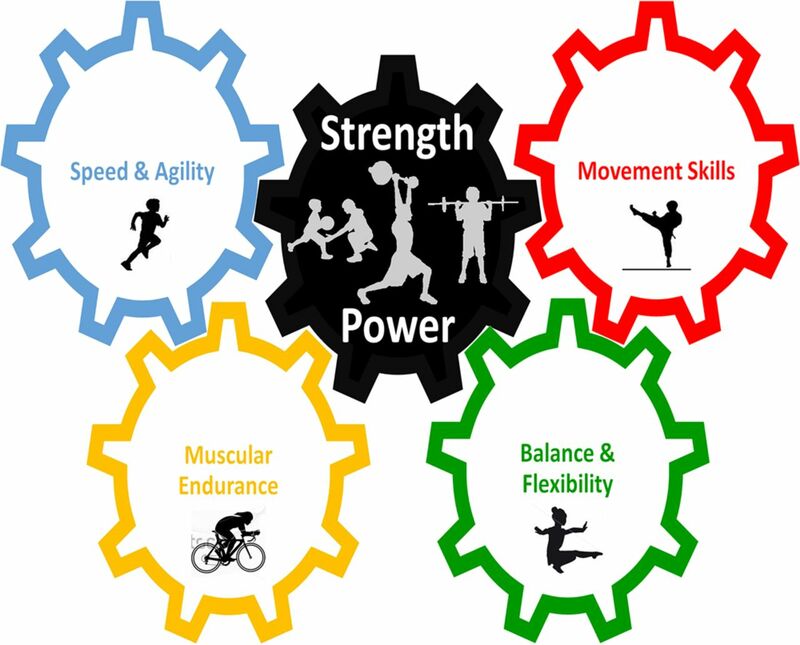 An integrative training programme grounded in resistance training and motor skill development can optimise a young athlete's potential to maximise their athletic and sporting performance, while reducing the risk of a sports-related injury. Resistance training may be especially important for modern-day young athletes who are more likely to specialise in one sport at an early age at the expense of enhancing general physical fitness and learning diversified sport skills. Structured interventions that include qualified instruction; targeted movement practice; and strength and conditioning activities that are developmentally appropriate, progressive and technique driven are needed to attain a level of athleticism that is consistent with the Olympic motto. From a sports performance perspective, stronger young athletes will be better prepared to learn complex movements, master sport tactics and withstand the demands of long-term sports training and competition.6 ,7 ,9 ,17 A developmental approach to physical conditioning can also enhance the health of youth and data indicate that young athletes who engage in multifaceted strength and conditioning programmes are more resistant to sports-related injuries.5 ,18 ,19 Moreover, young athletes who resistance train are more likely to achieve a level of physical performance which is consistent with optimising their potential to run faster, jump higher and be stronger.1 ,6 ,20 This review synthesises the current research related to resistance training for young athletes and provides evidence for incorporating resistance training into long-term athletic development programmes. By definition, the term resistance training refers to a specialised method of conditioning which involves the progressive use of a wide range of resistive loads and a variety of training modalities designed to enhance health, fitness and athletic performance.4 While different resistance training programmes can be used to accomplish training goals that are associated with improvements in musculoskeletal health and athletic performance, the design of the programme (eg, training intensity, training volume and exercise choice) will influence the specific adaptations that take place. Young athletes who consistently participate in well-designed resistance training programmes can expect to achieve gains in muscular strength, power and motor skill prowess provided the training programme is routinely periodised in line with their individual needs, goals and abilities. While the potential physical and psychosocial advantages of youth sports participation are well known,21–23 these pleiotrophic benefits will only be realised if aspiring young athletes have a level of muscular fitness that prepares them for the demands of sports practice and competition. Ten year secular trends in muscular fitness in English children indicate declines in bent arm hang, sit up performance and handgrip strength over the study period.24 Similar trends were observed in selected measures of motor fitness (eg, shuttle run and plate tapping) in Dutch primary school children and muscular power (eg, long jump and vertical jump) in Spanish adolescents.25 ,26 Australian researchers reported low levels of motor skill competence in school-age youth, and noted a clear and consistent association between low competency in motor skills and inadequate levels of cardiorespiratory fitness.27 These data illustrate the physical illiteracy of the next generation of aspiring Olympic athletes. In support of this contention, a 2-year investigation of 501 children between 6 and10 years of age found that low motor competent children participated less in sports and had fewer opportunities for developing motor abilities and physical fitness.28 Consequently, the growing number of children with low muscle strength and poor motor skills within the general population is likely to reduce the talent pool from which national governing bodies and professional sports organisations can recruit their next generation of elite athletes. The divergence in performance between young athletes with low and high levels of muscular fitness may persist into adolescence and speculatively, this may prevent relatively weaker young athletes from catching up with their peers who possess average or high levels of relative strength.29 Participation in organised youth sports alone does not ensure that young athletes will attain a level of muscular fitness that will optimise performance and limit injury risk. For example, reports indicate that many youth sports practices do not provide a sufficient amount of moderate to vigorous physical activity to meet daily recommendations because a large proportion of time is spent in sedentary or light physical activities.30 ,31 An integrative training programme grounded in resistance training combined with sport participation may help fill the critical need for young athletes to maximise athletic performance and maintain injury free competition. A high level of muscular fitness contributes to effective performance ability in young athletes, and a multidimensional strength and conditioning programme can improve performance on a wide range of physiological and skill assessments.20 ,32 Regardless of sporting success, young athletes who do not address neuromuscular deficits early in life are less likely to sustain high-level performance and more likely to suffer a ‘preventable’ sports injury. For example, weakness in the hamstrings,33 supraspinatus34 and middle trapezius35 was associated with an increased risk of injury in, retrospectively, young female athletes, adolescent baseball pitchers and age-group swimmers. A certain level of force-production and force-attenuation is required to perform all athletic movements, and therefore the importance of enhancing muscular fitness should be considered foundational to athletic development.7 ,20 ,36 Consequently, young athletes need qualified instruction, targeted movement practice and a progression of strength and conditioning activities that are developmentally appropriate, progressive and technique driven.37–39 This type of intervention may be particularly valuable for modern-day young athletes who may specialise in one sport at an early age at the expense of enhancing general physical fitness and learning diversified sport skills.40 ,41 Also, young athletes who engage in strength and conditioning activities without qualified instruction may have some resistance training experience, but their development is typically isolated to specific muscle-groups (eg, pectoral development from the bench press) and does not include technically proficient multijoint exercise competency. Enhancing muscular strength should be a priority in any athletic development programme, as strength would appear to transcend all other fitness components.7 With the understanding that many factors can influence training adaptations and athletic performance, the driving impact of strength and conditioning on performance parameters is illustrated in figure 1. The driving influence of strength and power on parameters of athletic performance. Enhancing the physical literacy of youth to improve athletic prowess is not a novel concept.44 However, an evidence-based approach to long-term physical development must include resistance training given its proven performance enhancing benefits.1 ,4 ,43 In addition to enhancing muscular strength, regular participation in a progressive resistance training programme for 2 years improved sprint speed up to 6% in elite youth soccer players compared to a group of age-matched players who participated only in regular soccer training.45 Others reported favourable changes in performance measures in age-group swimmers,46 preadolescent rhythmic gymnasts,47 and adolescent basketball,48 handball49and tennis players11 following resistance training. Of potential relevance is that researchers monitored strength performance on the front and back squat exercises in 141 elite youth soccer players over 2 years and determined possible reference values in strength performance for these athletes.50 These researchers suggested that relative strength (ie, 1 repetition maximum (RM)/body weight) in parallel squat performance for young soccer players and other athletes with resistance training experience should range from 0.7 for 11 to 12-year olds, 1.5 for 13 to 15-year olds, and 2.0 for 16 to 19-year olds.50 Although these values are based on the performance of young soccer players and are only a starting point for referencing strength performance benchmarks, these do highlight the high degree of trainability in youth and the potential differences in strength performance between subelite and elite young athletes. Conceptually, young athletes who are not exposed to resistance training early in life may not be able to capitalise on the high degree of neuromuscular plasticity during this developmental period.29 ,50 The ability to execute athletic movements with style, grace and precision requires the coordinated integration of cognitive, sensory, emotional, perceptual and motor control subsystems that evolve during childhood.64 With regular exposure to environments that enhance muscular fitness and motor skill performance, young athletes will learn to organise and control these subsystems as described in classic motor development theory.71 Brain development during the growing years likely corresponds to this developmental period when these subsystems are developing optimally,64 ,72 and therefore children can learn advanced resistance training skills (eg, weightlifting movements or advanced plyometrics) at an earlier age more efficiently than older populations because they can employ developing pathways that control coordination, control and proficiency. Youth resistance training guidelines with progression based on each athlete's resistance training skill competency (RTSC) to perform the desired movements. Protecting the health of the athlete is the primary goal of the International Olympic Committee's Medical Commission,94 and therefore coaches, parents and sport administrators need to ensure that young athletes are prepared for the demand of sports training and competition. A compelling body of data indicates that regular participation in a youth resistance training programme that is well designed, developmentally appropriate, and supervised by qualified professionals can offer observable health, fitness and performance value to young athletes.1 ,4 ,17 Stronger young athletes will be better prepared to withstand the demands of sports training and competition, and will be less likely to suffer a sports-related injury.6 ,7 A systematic approach to physical conditioning that includes resistance training and begins during childhood is needed to attain a level of athleticism that is consistent with the Olympic motto. The development of Olympic athletes should be viewed as a long-term project, and scientific evidence supports the premise that training-induced gains in muscular fitness during the growing years are vital for building young athletes who can run faster, jump higher and be stronger. New insights into the design of physical development programmes for young athletes have highlighted the importance of general physical preparation and the multiple health, fitness and performance benefits of structured resistance training. Young athletes who engage in resistance training are more likely to sustain elite-level performance and less likely to suffer a sports-related injury. A strategy of deliberate preparation, characterised by athlete-centred training and qualified instruction, is needed to improve a young athlete's resistance training skill competency, enhance muscular fitness and help facilitate the continued development of elite athletic prowess. How might it impact clinical practice in the near future? Structured interventions are needed to target deficits in muscular fitness early in life so weaker young athletes will be more likely to reach their genetic potential and less likely to suffer a sports-related injury than their stronger counterparts. Without early interventions, coaches at all levels will more likely need to address technical flaws and neuromuscular limitations which become harder to ‘fix’ when ingrained motor control patterns have developed over time. Owing to the heightened neuromuscular plasticity associated with the growing years, there is an unparalleled opportunity to target strength development early in life to set the stage for future Olympians later in life.
. Youth resistance training: past practices, new perspectives and future directions. Pediatr Exerc Sci 2013;25:591–604.
. Dispelling the myths of resistance training for youths. In: Lloyd R, Oliver J, eds. Strength and conditioning for young athletes. Oxon: Routledge, 2014:169–84.
. Risk factors associated with shoulder pain and disability across the lifespan of competitive swimmers. J Athl Train 2012;47:149–58.
. Periodization Strategies for Youth Development. In: Lloyd R, Oliver J, eds. Strength and Conditioning for Young Athletes. Oxon, UK: Routledge, 2014:149–68.
. Periodization strategies for youth development. In: Lloyd R, Oliver J, eds. Strength and conditioning for young athletes: science and application. Oxford: Routledge, 2014:149–68.
. The concept of physical literacy. In: Whitehead M, ed. Physical literacy through the lifecourse. London, England: Routledge, 2010:10–20.
. Anthropometric, strength, and physiological changes in male and female swimmers with progressive resistance training. Aust J Sports Sci 1981;1:3–6.
. Effects of resistance training on jumping performance in pre-adolescent rhythmic gymnasts: a randomized controlled study. Ital J Anat Embryol 2014;119:10–19.
. Resistance training and youth. Pediatr Exerc Sci 1989;1:336–50.
. Sports injuries aligned to peak height velocity in talented pubertal soccer players. Int J Sports Med 2014;35:351–5.
. Effect of different training methods on running sprint times in male youth. Pediatr Exerc Sci 2012;24:170–86.
. Pediatric anaerobic performance. Champaign, IL: Human Kinetics, 1998.
. The role of contextual interference and mental engagement on learning. In: Edvardsen F, Kulle H, eds. Education games: design, learning and application. Hauppauge, NY: Nova Science Publishers, Inc., 2011:127–55.
. How young is too young to start training? ACSMs Health Fit J 2013;17:14–23.
. Shifting the focus from quantitative to qualitative exercise characteristics in exercise and cognition research. J Sport Exerc Psychol 2012;34:766–86.
. The contribution of structured activity and deliberate play to the development of expert perceptual and decision-making skill. J Sport Exerc Psychol 2008;30:685–708.
. The influence of the family in the development of talent in sport. Sport Psychol 1999;13:395–417.
. Youth strength training. Champaign, IL: Human Kinetics, 2009.
. Strength and conditioning for young athletes. London: Routledge, 2014.
. Plyometrics. Champaign, IL: Human Kinetics, 2013.
. Prevalence of nonfunctional overreaching/overtraining in young English athletes. Med Sci Sports Exerc 2011;43:1287–94. Contributors ADF conceptualised the idea for this paper. All authors contributed to the literature search and the text for this paper. ADF is the guarantor for this paper.